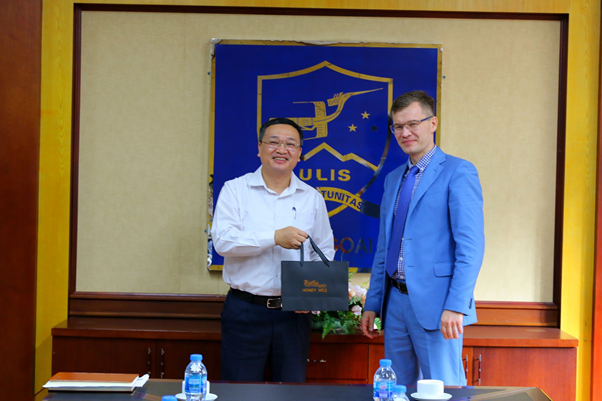 On December 5th, 2018, ULIS-VNU had a meeting with Evgeny Vlasov – Representative of Far Eastern Federal University (FEFU). Attending the meeting were President Do Tuan Minh, Vice President Ngo Minh Thuy and representatives of ULIS’s units. At the meeting, the two sides discussed the preparations for the opening of the representative office of the Oriental Institute – Far Eastern Federal University at ULIS on December, 10th, 2018. 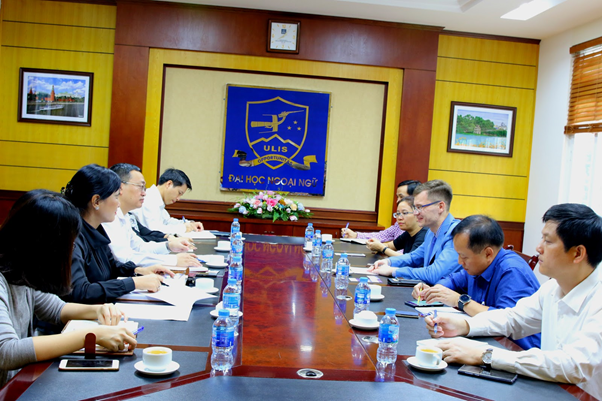 This is the basis for FEFU to develop cooperative relations in Vietnam, in which organizing student internship, cultural dissemination, student exchange with VNU are highly- concentrated. As for VNU, it will also have opened a representative office at FEFU.